A compilation of some of the best moments from 'News Fuse', wherein the host presents the news with a funny and satirical twist while also discussing interesting videos sent by the viewers. Orissa TV or OTV is a regional Oriya language Indian cable television station.  It is the flagship channel of the Bhubaneswar-based Orissa Television Network. It was started and promoted by Mrs. Jagi Mangat Panda. Orissa Television (OTV) is the first private Electronic Media in the state of Orissa. Launched in 1997 in the twin cities of Bhubaneshwar and Cuttack, and slowly spread to all major towns of the state. Then it became the premier source of news, current affairs and entertainment for the people of Orissa. It is most viewed Oriya TV channel in the world.